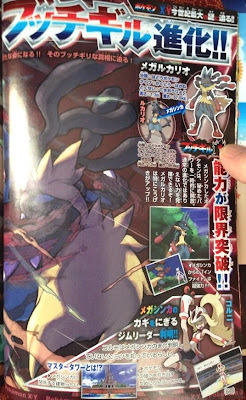 Thanks for the images sharing to @raimserpant. 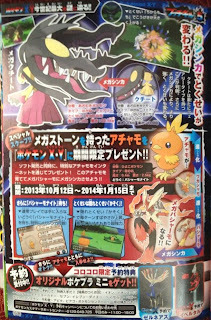 and @hyu_poke. Mentions Pokemon XY Mega Shinka (Mega Evolution) on cover page. The biggest Scope in 21th century. 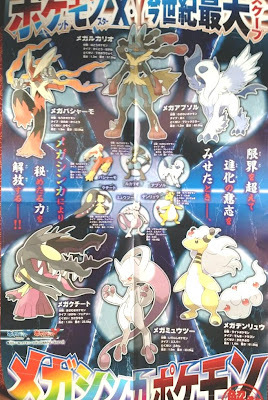 Blaziken, Lucario, Absol, Mawile, Mewtwo, Ampharos evolute to Mega Pokemon (changing forme), ex Mega Blaziken, Mega Lucario. These Pokemon can evolute to Mega Pokemon in the battle only. Image is Mega Mewtow VS Mega Lucario. 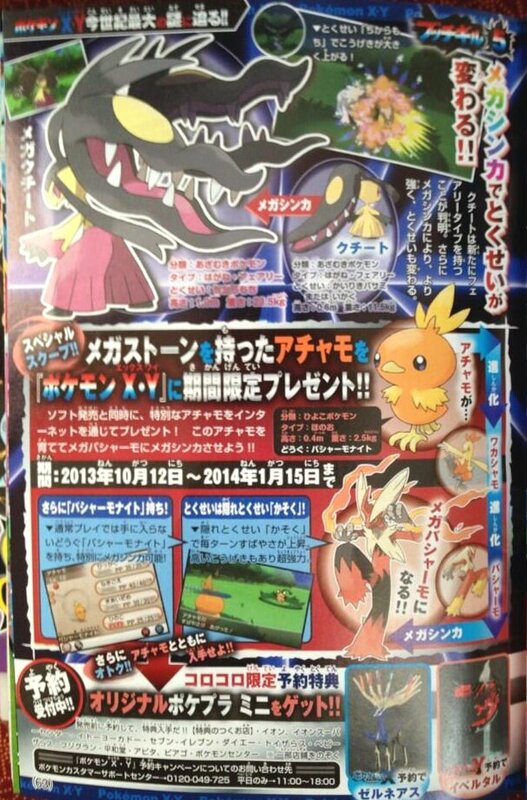 Will distribute Torchic with Mega Stone from 12 Oct 2013 to 16 Jan 2015 in Pokemon XY. 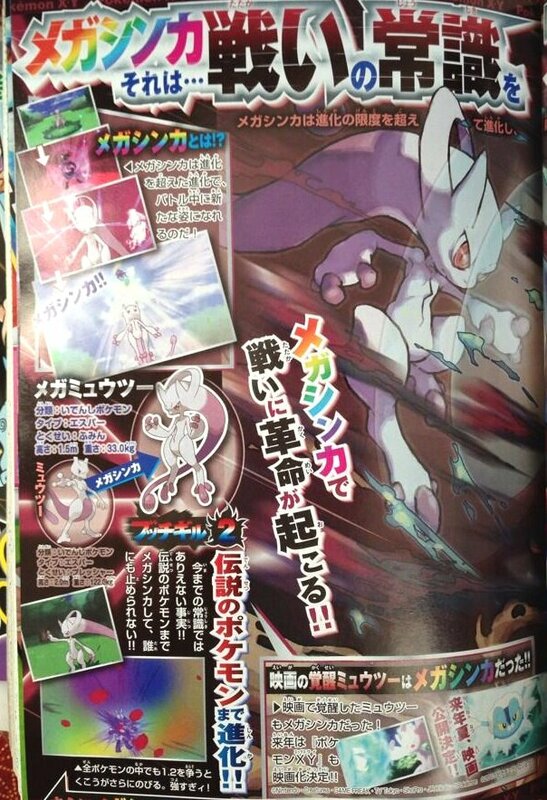 It has Blaziken Stone (バーシャモナイト) and ability Speed Boost, will evolute to Mega Blaziken finally. 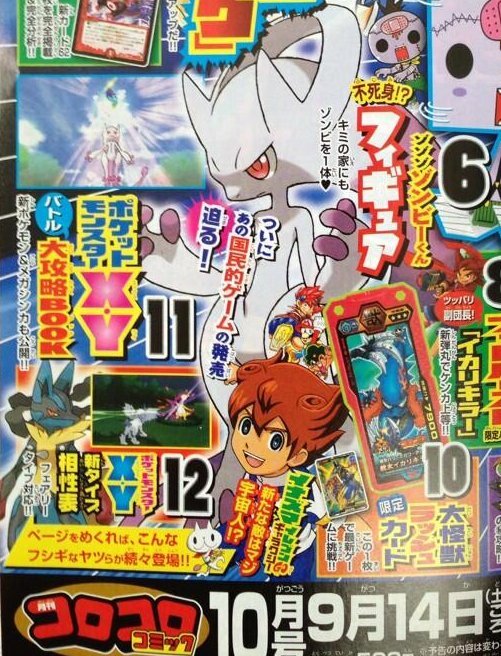 For be Mega Pokemon, need to have Mega Stone. 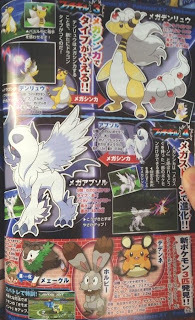 New XY Pokemon Skiddo メェークル evolves to Gogoat, Bunnelby ホルビー (type normal), Dedenne デデンネ (type electric and fairy). 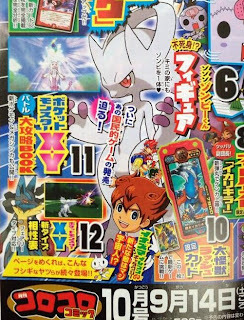 Also showing Super Training. Horubie and Dedenne had been registered Japanese trademark, please refer to this article. 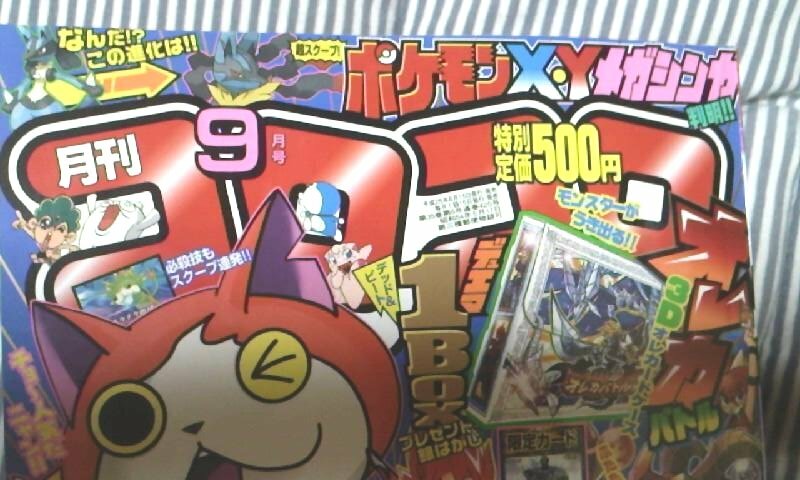 Next CoroCoro Oct Ad : Featuring Pokemon XY Battle guide, XY Type match list and more new Pokemon and Mega Pokemon, publish on 14 Sep.